Green Little League's travel baseball division is operated under the Little League International baseball model. This means that all players will be from Green Little League’s baseball district and the ultimate goal of this program is to win the Little League Baseball World Series http://www.llbws.org/ Yes, this is a big goal and the reason we have it is to provide clarity for how the program will be run. We have a model in Little League (LL) where thousands of Little League organizations already do this today and we are emulating their success. In practical terms, here is how the program is run.  Every player within our league signs up for baseball as they do today and they pay the regular baseball registration fee for their division. We will continue to honor player/coach/team requests as best as possible with an effort to create reasonable parity between the teams. These teams are known as the recreational (rec) league. Under Little League organizational rules, no player is eligible for the Little League World Series (LLWS) tournament unless he plays 12 games on a traditional rec league team. In addition, each rec league team is limited in the number of players that can play as part of the LLWS tournament. This is how Little League ensures that no rec league team consists solely of travel level players. Rec league baseball will continue in the same fashion as it does today. The travel division is in addition to rec league play and will be $199. For those that have participated in the Memorial Day All-Star tournament in the past, the travel division will look very similar. Each rec league team will have some all-star caliber players that will form the leadership nucleus of the rec league team. They will be the role models of their rec team and will set the example for their teammates to follow. (We love the way this program systemically develops leaders by design and not by chance) The principle of this design is similar to the adage that a rising tide lifts all ships. By keeping travel players integrated into the rec league, every team will benefit and improve at a faster rate. This parallels the virtues of caring for and developing others that we all want to instill in our children. From a schedule perspective, the travel division will participate in four tournaments starting in April. There will be one tournament per month, April/May/June, culminating in the LLWS District Tournament in July. The April/May/June tournaments will be reasonably local with the intent of not requiring overnight travel. District tournament play could extend into late July. Every effort will be made to run this division with the goal of minimizing parental costs. In terms of time expectations, rec league will continue with the expectation of 2-3 events per week. The travel participants will be expected to participate in all rec league events plus 1-2 additional events per week. This means travel participants can expect 4-5 days of baseball per week during the season. The travel participants will have limited practices after the teams are announced over winter and will start prior to the season on a regular basis. We understand busy schedules and encourage multi-sport participation. In addition to the above, LL has some great reasons for using this format to support travel divisions. The first is that this format minimizes player talent drain from the rec league. Rec league consists of a wide level of player capabilities. This format provides an avenue for introductory to advanced level play at each level. The second advantage is that pitcher development is expanded across the rec and travel leagues. LL enforces a strict pitch count limitation per week to ensure the safe development of pitchers’ arms and this format results in more pitchers being developed in both the rec and travel divisions. One of the biggest challenges facing non-Little League baseball organizations is the coaching drain that results from totally separate rec and travel leagues. Since LL play between rec and travel players is integrated, the same coaches support both rec and travel. While we have demonstrated players learn from better players time and again, the same is true for coaches. In terms of macro experience, a segregated rec and travel league results in less development opportunity for everyone. The widening gap of experience and support of segregated rec and travel programs is eliminated under the Little League banner. When one succeeds in Little League, all succeed. Is your child ready for the next level of play within Green Little League? If you would like to find out, we will be holding tryouts for 8u, 9u, 10u, 11u, and 12u teams this summer. Player ratings will be determined by High School baseball staff (Green Little League will not determine or influence the player rating). The cost for the tryout is $5 per child. 100% of this cost is to pay the independent 3rd party that will be providing the player ratings for the travel division. Step 2: Look for GLL communication on the tryout dates.